He meant this in relation to his team digging deeper in the third period of each game to finish strong. 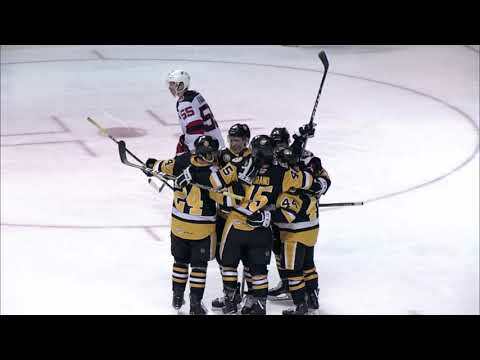 You can bet where ever Brooks is now, he is sure to be looking down on the Wilkes-Barre/Scranton Penguins and smiling, as the Pens are now among the leaders of the American Hockey League pack. The Penguins are off to their best start since the 2010-11 season, when they won nine straight games to begin the year. Wilkes-Barre/Scranton just came out of a three-game weekend with a perfect record, putting the team at 6-0-0-0 overall. The interesting part is how the Pens have been able to explode with offense in the third period. Outscoring their opponents 15-4 in final frame of each game, the team has found a formula for success. Alternate captain Zach Sill, who scored the third goal on Oct. 12 against Hershey, says that this starts in the locker room. With the addition of a lot of leadership and experience this season the Penguins can be ready for any situation. Sill says that this helps to keep the team relaxed. Off to a great start, Sill has a goal and an assist as well as two fights to his credit to lead the team in penalty minutes. Another player who is on a roll is 25-year old center Brian Gibbons. He has already posted four multi-point efforts in the first six games and most recently assisted on Brendan Mikkelson’s overtime game-winner on Sunday at Manchester. Gibbons not only ranks first on the Penguins with 11 points (4g, 7a), but is among the league leaders in scoring. As one of the leaders in the locker room, Sill knows closing out games is critical for confidence.